By embracing neurodiversity and emphasising that autistic people are not flawed human beings, Thompson demonstrates that some merely need to take the "scenic route" in order to flourish and reach their full potential. The memoir brings to life Harry's past experiences and feelings, from his torrid time at school to the peaceful and meaningful moments when he is alone with a book, writing or creating YouTube videos. 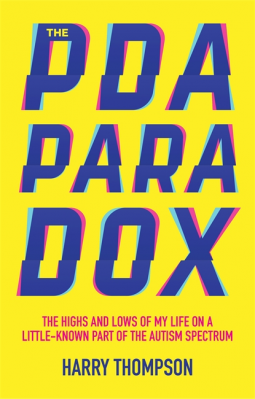 Eloquent and insightful, The PDA Paradox will bring readers to shock, laughter and tears through its overwhelming honesty. It is a turbulent memoir, but it ends with hope and a positive outlook to the future.